Eyelid irritation is usually not serious, but it is a very common complaint, especially from people who suffer from chronic allergies. There are a few different symptoms that come with eyelid irritation, including swelling of the eyes and eyelids, redness of the eye itself, pink or red irritation around the eye and excessive watering of the eyes. Eye irritation is usually not painful, but it can be uncomfortable and annoying. Irritated eyes can pop up overnight and without much warning, and it can be difficult to determine the exact cause of eyelid irritation. Allergies are the most common reason for irritation in the eye area, but there are a number of other circumstances that can lead to inflammation or soreness of the eyes. Any injury to the eye or area surrounding the eye will cause tenderness and possibly swelling of the eyelid. Certain sicknesses can irritate the eyes and lead to redness and irritation. Eye infections are yet another cause of eye irritation. Pink eye is one of the most common infections found in the eyes, and it can be extremely contagious. 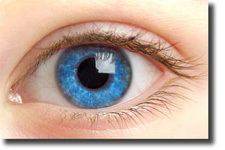 Most of the time, irritated eyelids do not require medical attention. However, if there is the chance that pink eye is the cause of the irritation, a doctor’s care is usually needed to acquire the antibiotics necessary to fight off the infection. A doctor visit may also be in order if the eye problems persist for days or weeks at a time and are not caused by any allergies or a known irritant. The physician will analyze the problem and diagnose what the cause may be. There are a number of antibiotic creams or drops that can be used to treat eye infections or other eye problems, and a doctor is the best person to decide what treatment should be utilized. For chronic allergy sufferers, irritated eyes come with the territory, so they are usually quite adept at treating the symptoms at home without the need for medical care. Most of the time, allergy medicine is used on a regular basis to treat the symptoms of allergies, which unfortunately do not stop at eye irritation. Allergy sufferers are faced with noses that run profusely, eyes that water and itch, and a scratchy throat that causes a brittle, dry cough. Unfortunately, there is little that can be done to cure a person of allergies. The best way to deal with chronic allergy problems is to stay away from whatever substance causes the allergic reaction. Some of the most common allergies are to dogs, cats, dust and pollen. While pets can be avoided, dust and pollen are hard to stay away from, even in the cleanest of homes and barest of yard space. Antihistamines provide relief from the symptoms caused by allergies to these common irritants, and they make it possible for allergy sufferers to live a normal life without sneezing the day away. Sometimes even non-allergy victims have problems with swollen eyelids, especially on the morning after a poor night of sleep. There are a few simple ways to deal with the issue of temporarily swollen eyes. Spas often place cucumber slices over the eyes during facials and other treatments, and this is an excellent way to reduce swelling in the eyes. For the everyday folk who do not frequent the local spa, it is simple to cut up a few slices of cucumber and treat yourself to an at-home spa sensation. Just lay back, close your swollen eyes and put those cucumbers in place. You will feel the stress and swelling just melt away.